How Does it Show Up on Google? Since 2009, Google Street View has extended its technology beyond just the street, offering Virtual Tours onto business property and inside. The "See Inside" function is published on your Business Listing, and is accessible across Google Search, Google Maps, and Google+. Engage, Invite, and Familiarize your customers about your business. Google Street View captures the business ambience, products, and culture. Your Business Listing on Google contains your essential information- Contact, Address, Navigation, Hours, and now Imagery. Google Street View "See Inside"
Go ahead and explore Oak Farm Vineyard & Jimmy's Barber Garage down below. You can look around (floor to ceiling) by simply clicking and dragging the screen. To move forward, simply place the cursor on the floor towards your desired direction, and single click. First started in Sacramento and has been growing because of their famous Burgers. Flaming Grill Cafe has been with the Google Street View program since the very beginning. They have successfully opened their 2nd location in Elk Grove, CA. 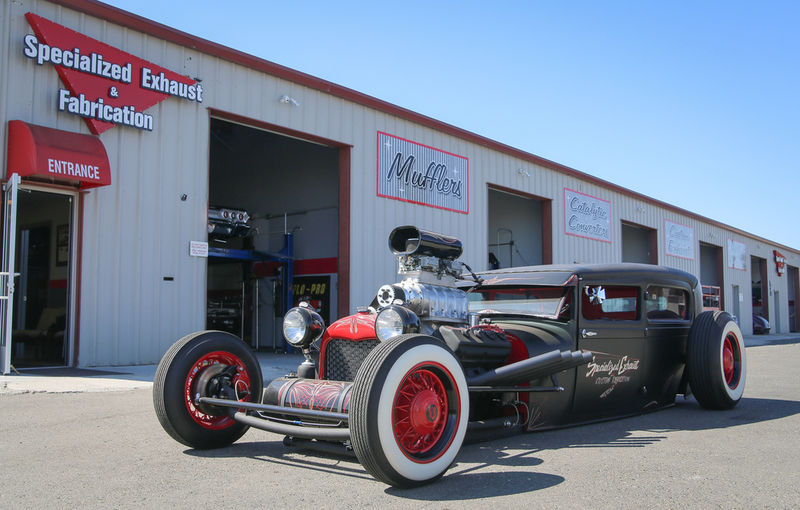 This friendly shop not only fixes anything exhaust related, they also have many years of experience in welding/fabrication. The owner has a passion for cars, and treat customer cars just like his own. You will feel confident and comfortable knowing your car is going to this shop, just take a look inside!